Jack Towell began his career as a hunter/jumper trainer at the age of 17. After graduating from Catawba College in Salisbury, North Carolina, Jack returned to the horse world and became one of the most successful trainers and developers of young riding talent in the country. Most recently, he was inducted into the National Show Hunter Hall of Fame in the Class of 2016! Jack Towell with sons Ned, left, and Hardin. Jack has earned numerous accomplishments as trainer of more than 75 champions and reserve champions at the Devon Horse Show (Pennsylvania), Capital Challenge (Maryland) and the East Coast fall indoor shows, including the Pennsylvania National, the Washington (D.C.) International and the National horse shows. He's the only trainer to be named the Pennsylvania National Horse Show Leading Junior Hunter Trainer four times, four-time trainer of the overall World Champion Junior Hunter Rider. His students have earned the Best Child Rider Honors 14 times at Devon and the fall indoor shows, twice the Overall High-Score Pony Hunter at the U.S. Pony Finals and once the Overall Champion Junior Hunter at the U.S. Junior Hunter Finals. Jack is one of the only trainers in the country to train a Champion or Reserve Champion in every division at the year-end fall indoor shows. Jack Towell's son Hardin, a successful grand prix competitor, is now a full-time trainer based in Wellington, Florida. As a jumper trainer, his horses and riders have earned numerous Grand Prix wins, as well as victories in junior, amateur-owner and young jumper sections. His students also excel in the equitation ring, with top ribbons at all of the major finals as well as victory in the Washington International Equitation Finals in 2006. 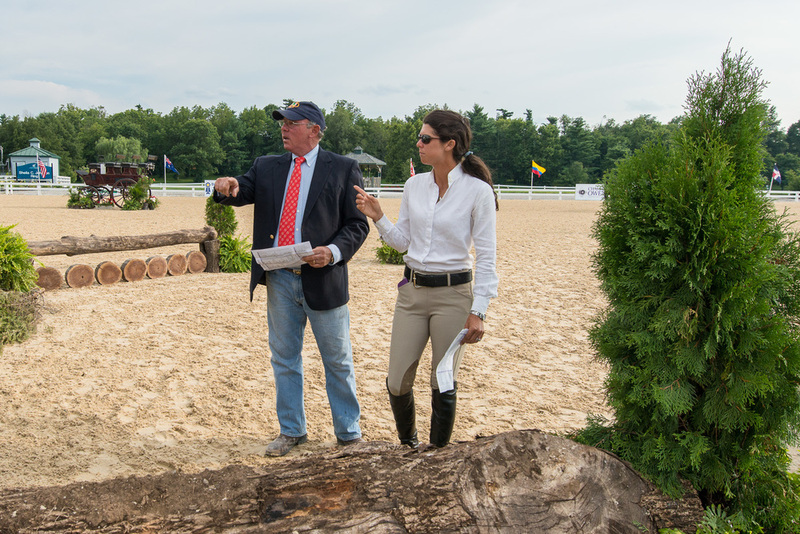 Jack Towell and daughter Liza Boyd walking the course during the 2013 USHJA International Hunter Derby Championship.